Northward-facing panorama from High Spying How, partway along Striding Edge. Helvellyn is at the left-hand end of the edge. 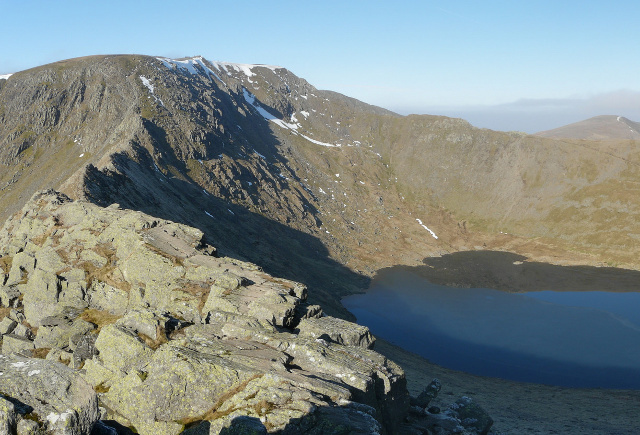 Red Tarn is beneath Helvellyn, with Swirral Edge and Catstye Cam beyond it. Striding Edge continues off to the right. View one of the larger versions for the full panorama.